The best way to increase the visibility of your event and to get all the attendees involved. What can you get with a Social Wall at your event? Keep control of the content displayed on the screens of your event with our advanced moderation panel. Fully integrate the design of your wall at your event. Our tool adapts to any screen and any design you need. You can enable statistics in real time for your wall and event. Also get a complete report with the most relevant KPIs for your event. One of the main advantages of Social Walls is the increase in engagement, especially at events. By displaying attendees' publications in real time, you'll be making them an active participant. In addition, you will encourage them to generate even more content, since many attendees or customers will hope to see their photo or tweet on the screen. They did so at the eMarketers event, one of the most important digital marketing congresses in Latin America. The amount of data collected from users that tweeted their impressions of the symposium was incredible! Our Social Walls have the option to generate statistics and rankings at the same time, while the event is being held. Both the audience attending an event and the organisers, will know what the most successful publications, the most active users are, and whether you have become Trending Topic... All this in a very visual and complete way. 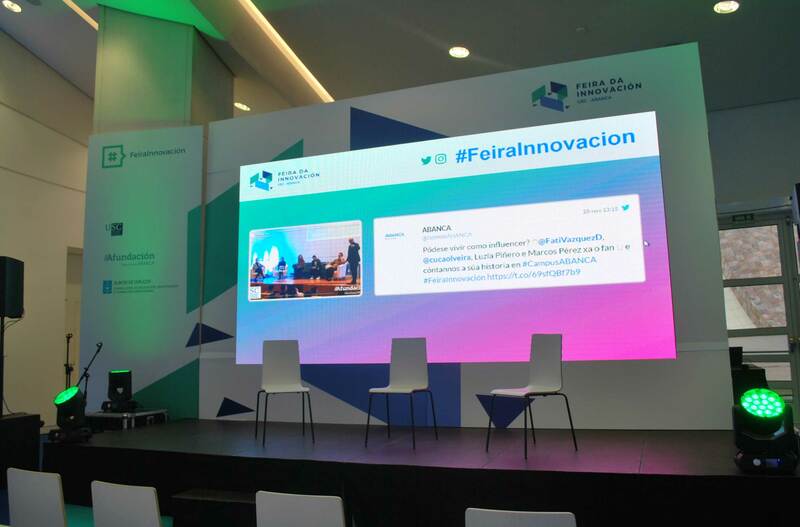 Another event in which our Social Wall was used was #FeiraInnovacion.